Get It Done Mommy: Tomatoes! Saturday we had my old high school friend and her family down for dinner. We had a great day. Yesterday we had friends over again and did a tomato theme dinner since we have so many tomatoes from the garden we wanted to use up. I made for an appetizer Queso Fundido Dip which was a big hit. 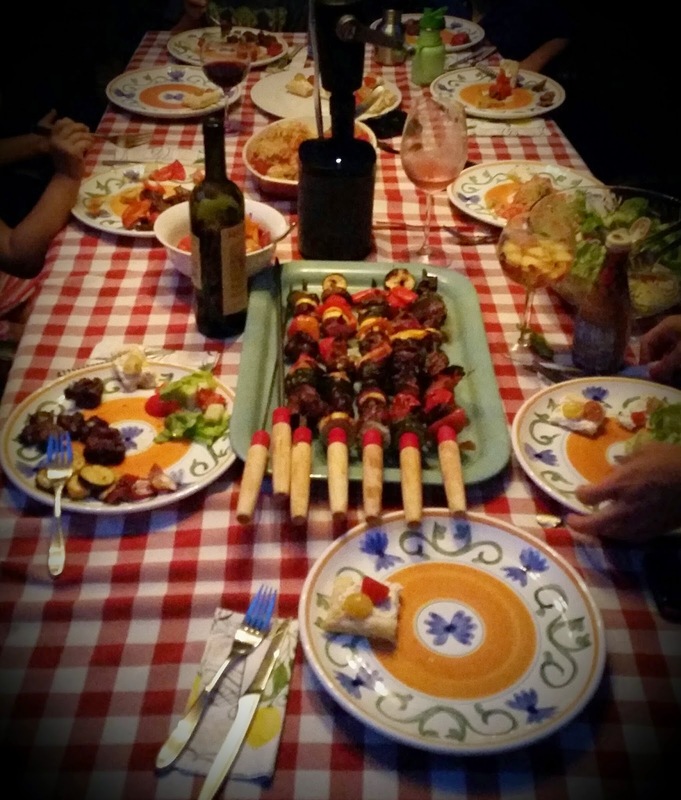 We did skewers with beef, tomatoes and other vegetables. Quinoa & zucchini stuffed tomatoes and my friend brought a salad and a tomato tart. For dessert I made strawberry tomato ice cream in the Vitamix....I loved it! So easy to make and refreshing. I also made (out of theme!) 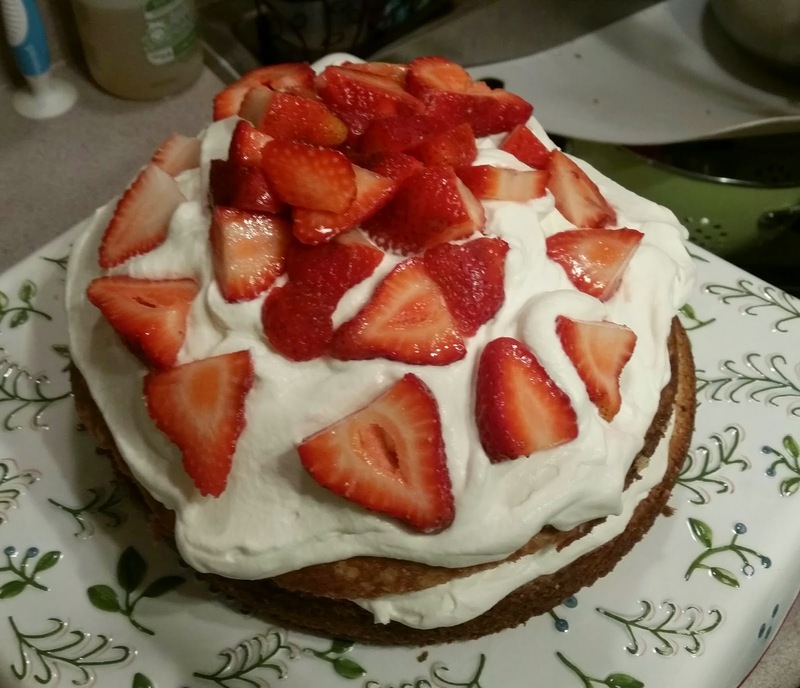 Ina's Strawberry Country Cake -- so easy and delish! It was also a busy shopping weekend getting ready for school. Picked up my oldest's uniform, took them to Nordstrom for sneakers, Gap (everything in the store is 40% off!) for socks and Lord and Taylor for a Fall jacket for me. Every place was oddly not crowded -- which was great - lots of good sales going on! Off to visit my inlaws soon for dinner and then back to the grind tomorrow!